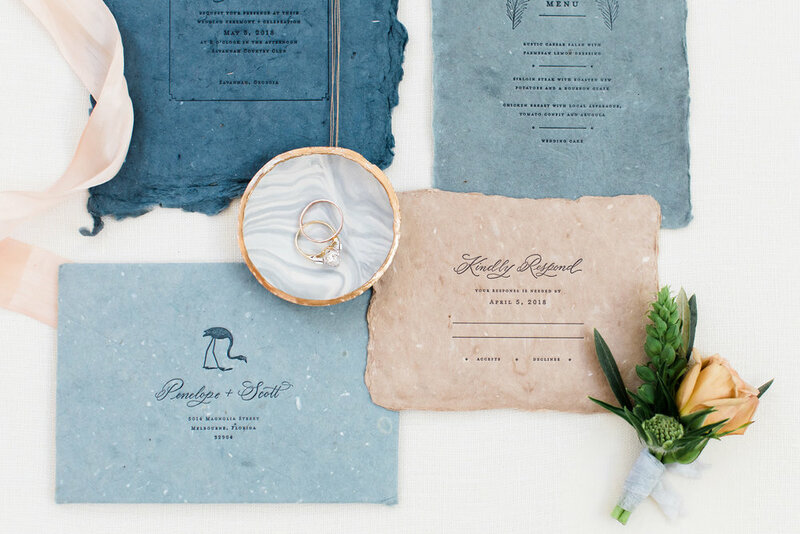 Penelope & Scott had an organic & simple vision for their wedding stationery. Her love of flamingos & his outdoor hobbies led them to use handmade paper from Farmette Press & include organic illustrations. They also wanted the information to be simple & straightforward to balance out the handmade edges of the paper. To continue with the vintage organic feel, we included spot calligraphy for their names from Leen Machine Calligraphy. The calligraphy goes perfectly with the flamingo illustration & it all got framed off by a thin-lined border. 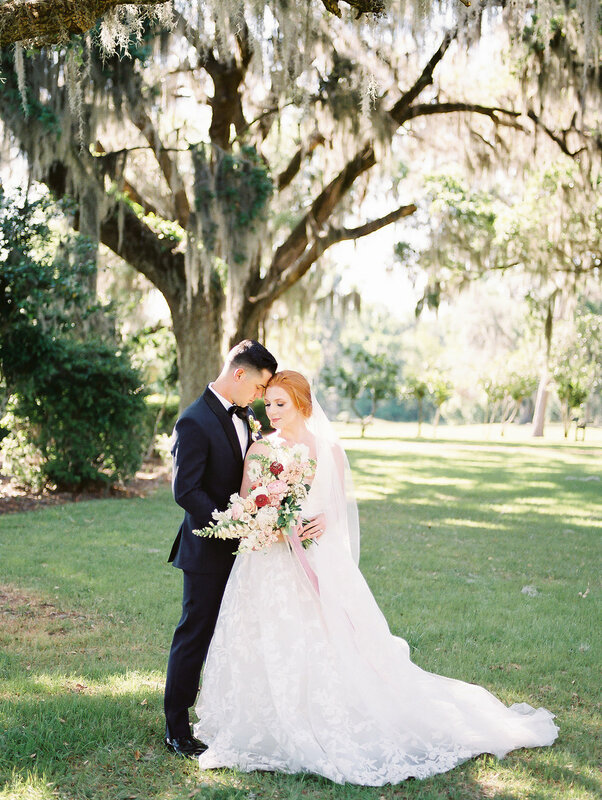 Penelope & Scott wanted to keep the colors lush, but still spring-like for their Savannah wedding.